Having a good executive summary at the introduction to your formal business plan is crucial to capturing the attention and excitement of both investors and potential partners alike. An effective executive summary captures the core business proposition, key financial projections, where the business stands at present, and the elements that are critical for the success of the company moving forward. The executive statement is the first thing a potential investor will read. If it doesn't grab their attention right off the bat, then they may not read the rest of your business plan or make an investment in your business. Before you begin writing your executive summary, be sure you avoid making these common mistakes. 1. Making it too long. Brevity is key. A good executive summary ranges from half a page to two pages maximum. Anything longer and you risk losing your reader's attention or appearing unfocused. A safe bet is to keep it under one page so that you're adequately getting a potential investor up-to-speed on everything your company does (and is planning on doing), yet not boring them with mundane details that aren't really relevant to them at the moment. 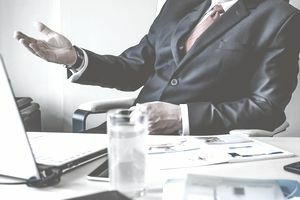 There are always more details you can share once an investor expresses interest in your business and enters the process of due diligence—but the goal of a good executive summary is to get them to keep reading and considering your company. 2. Writing it before you tackle other parts of your business plan. Don't write the executive summary first. Although it leads off the very beginning of your business plan, the executive summary should be written last. That way, you can cull information from the rest of the document and make certain there are no inconsistencies throughout. The executive summary is essentially a one-page report that needs to concisely capture all of the highlights from the rest of your business plan. From there, you'll move onto a brief description of your financial outlook. This part of the executive summary should mention the expected costs of starting up, as well as your bottom-line financial projections for the short and long term. The next issue to address is the state of your business. It may still be in the idea stage, or perhaps you've already raised a little bit of money. Or, it may be that you're fully operational and looking to expand. Investors will interpret your current business position as a signal as to how much capital is needed to advance your company and whether or not this matches the type of opportunity they are looking for. Overall, the executive summary should offer a glimpse into what the business plan holds. Hit on all the important points. If you hold off on composing it until after you've written the rest of your business plan, it should practically write itself.